Circa 1900 school photograph of Bertha Wetherell Gay of Brockton, Massachusetts. She would marry John Swift Burbank in 1912. 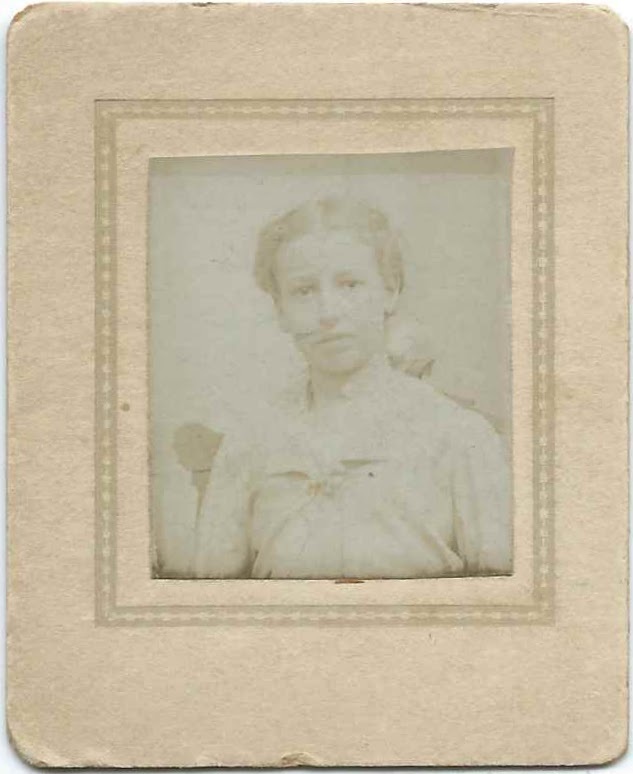 Bertha was the sister of Lillian Auburn Gay, whose school photograph is featured in another post. The matted piece is approximately 2-1/2" by 2" and was found with similar sized photographs of youngsters and young adults from Brockton and towns near it, such as Randolph and Braintree. 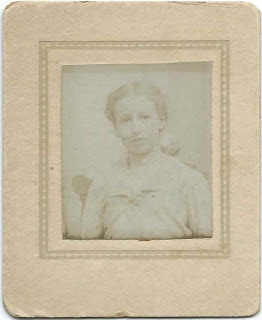 Bertha Wetherell Gay was born May 21, 1888 at Brockton, Massachusetts, the daughter of David Francis Gay and Sarah Clark (Wetherell) Gay. 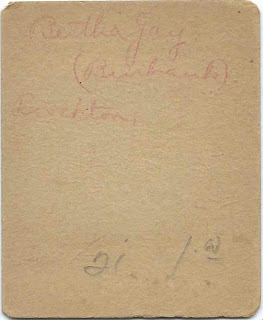 On June 24, 1912 at Brockton, Bertha married Brockton dentist John Swift Burbank, son of Walter D. Burbank and Harriet N. Swift. John was born at Wareham, Massachusetts, on November 9, 1880. Bertha and John lived at Brockton, Massachusetts, and had at least one child, son John Francis Burbank, born in 1913. Bertha died in 1971; her husband John had predeceased her in 1954.